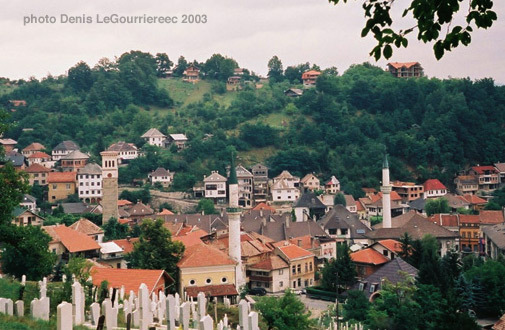 The country's name comes from the two regions Bosnia and Herzegovina. 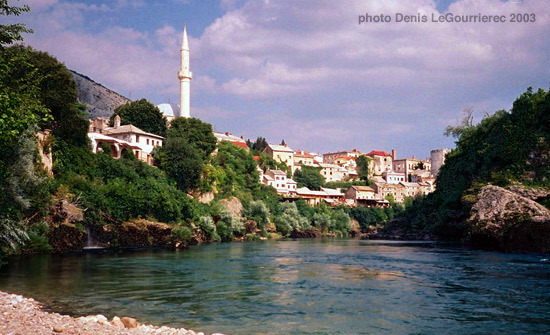 Bosnia occupies the northern areas and Herzegovina occupies just the south part of the country around Mostar. 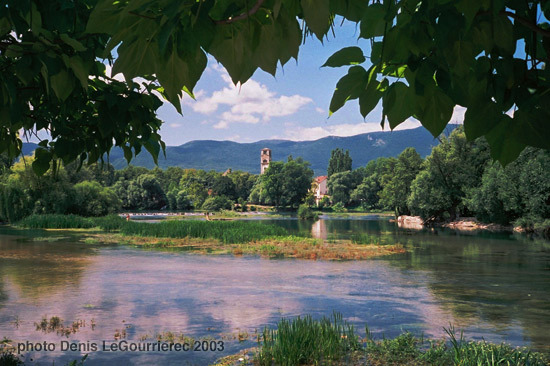 The country is mostly mountainous, quite green and forested. The south has a more mediteranean climate. 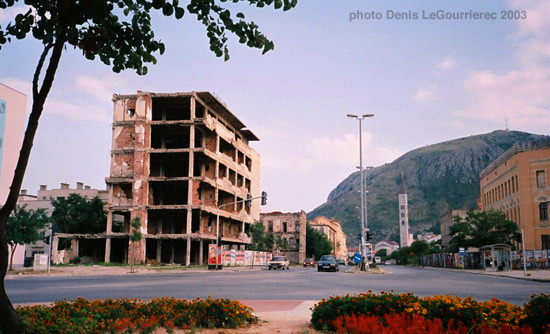 These photos date from 2003, when the scars of the war were still visible and the reconstruction of bridge in Mostar was not yet completed. 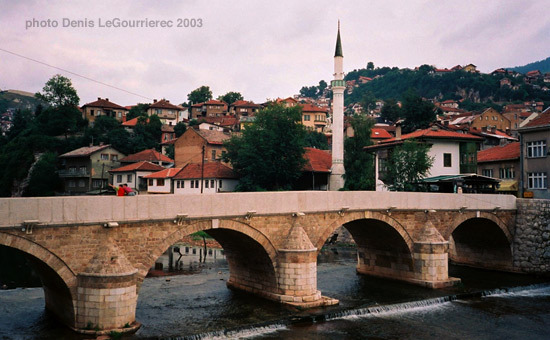 Mostar :the old bridge was destroyed during the war. 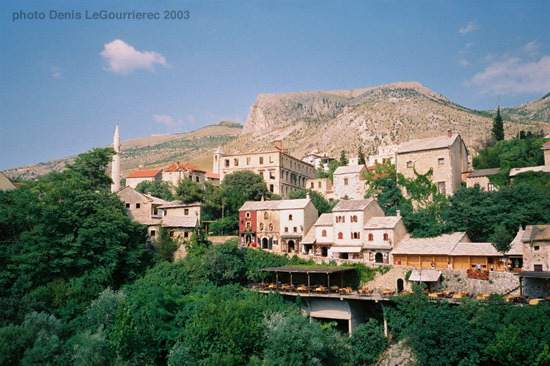 Mostar saw some heavy fighting during the war. 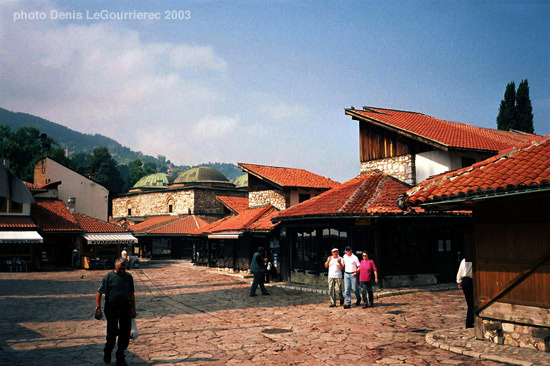 This street divided the Bosnian muslim and the Bosnian croats communities.